Pope Francis and UFO’s – Dr. Turi M.D.U.S. After Mass, he made his way through St. Peter’s Square in an open-top popemobile free of bulletproof glass so he could stop to greet followers with handshakes, embraces and kisses. Dear Readers: Is Pope Francis taking chances? you bet he is and he could pay the price soon… While honorable or crazy, washing and kissing the feet of convicts or refusing the security the popemobile offers from the mass does not speak of man who own much critical thinking but instead show the real signs of what it means to be a true Neptunian.. This planet’s deceptive “faith” power reminds me of those insane tele-evangelist playing with deadly snakes tempting the devil but in the case of Pope Francis the situation is much worse! If you are a VIP you read all about “Pope Francis Stars and Fate” and I have explained that, like cosmic unconscious President Obama, Pope Francis is unaware of God’s signs and also riding his dangerous Dragon’s Tail full speed. Gemini sign rules transportation (popemobile) and located on the Pontiff’s 7th house (open enemies) and it is just a matter of time for God’s cosmic will to speak! All that is needed is for Pope Francis to be in public in one of his UNLUCKY window dates to pay the price of his cosmic ignorance. Purposely bringing two FBI agents in my home to “warn/attract” the Homeland security attention did not work and I can dance or pray on my head all day long, I do not think the Pope or any of his associates will ever pay me a visit so I could warn them too, but if this is God’s will, at least all my readers now know all the very dangerous possibility! When I profess those that represent God on earth are clueless the same ignorance seem to plague also the majority of cosmic unconscious UFO “experts” who never saw or dealt with extraterrestrials. It should be mandatory to anyone involved with anything above their “educated” heads to become cosmic conscious and understand the spiritual celestial mechanics or what our infantile science refer as “Dark Matter” so they could finally get a clue to the Divinity escaping their rational logical limited UCI! In fact, because of my own direct physical and spiritual contacts/experiences with ET’s I am amazed for anyone not to accept the possibility of advanced interstellar civilizations dealing with human… Sad enough the envious skeptics who do not vibrate as such high speed represents the low sub-human vibrational energy and their dirty cosmic “quality!” And this is why those envious young souls will never attract what seems to be normal for me and so many other souls who are of an interest for the ET’s. Am I too real and too controversial with what happened to me? Even with the televised predictions I generated on the Discovery channel and all the dated, printed unarguable facts in hands some people still refuse to recognize and the undeniable spiritual legacy I own following the downloading of the Cosmic Code jurisdictions back in August 2001! My UFO stories are much too much to accept, even to the International UFO Congress management from my home town in Phoenix, AZ who are supposed to introduce the real truth about UFO and legitimate people like me! Again if you have any hope to attract the incredible, you better start changing your attitude and show the extraterritorial why they should be interested in you! If you are one of the billions of morons walking this big rock they may also pick you as to find out why your level of curiosity or intelligence is the same as the cows they regularly dissicate to check on the quality of the food chain yo ingest. It all start by being different that the moronic mass making up 99.09% of the jealous skeptical, “educated” souls who think the world should evolve around them only or the mass of unproductive religiously poisoned, God fearing human beings. You have to be different, if not unique to appeal to the “force” because their agenda is a sophisticated one and involves the best of the best of their crops! If you think ET’s deal with your political, scientific or religious elites only, you are wrong for, kissing the feet of a pin/pot head rotting his jail does not really appeal to them! They are after YOU if you give them a reason to look for you and you do not have to try hard or be in a remote area, your physical/spiritual vibrations act as a powerful beacon only them can detect! ET’s are all cosmic conscious, they use and understand the Universal mechanics the way my students and I do and when Moises was contacted upon Mount Sinai “the tablets of wisdom” were far from rocks carved on the mountain with the Ten Commandments! But that is all the innocent/morons of those days could digest because the contactees are so rare even for the ET’s to find. “A magnet will not attract a piece of wood” and ET’s uses the Uranic energy to manifest into this dense physical plane and so do I when hunting for them or for gold in the desert! During one my trips metal detecting I found some unusual magnetic heavy rocks in the high AZ desert mountains and they are meteoric in nature. I am sure many of you heard of amultets, charms and talisments I trust my “Uranic” findings will act as powerful magnets if you are trying to attract UFO and ET’s. If you are really into UFO, have no fears and mean business, I have only 3 pieces and all you have to do is to carry one with you during one of your Lucky Uranic window dates and call upon them. I have only three “cosmic rocks” I am willing to sell them and do the Skype consultation with you to point out your personal 2013 few right timings to deal with ET’s. If you are interested email me at dr.turi@cox.net , no calls please! 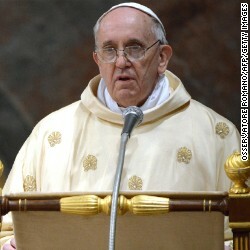 Previous post: Is Pope Francis the last Pope?